Samsung is likely a few months away from unveiling its Galaxy S10 line-up, but that has not stopped yet more leaks and speculation from appearing online. Now there are reports that a "major tech retailer" in the UK has approached Gizmodo with pricing for all three rumoured S10 models. A new day, and yet more leaks and speculation about the Samsung Galaxy S10. The official launch date may not be until February according to reports, but now a "major tech retailer" has purportedly confirmed that the Galaxy S10+ could cost up to US$1,800. 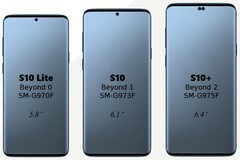 The Galaxy S10 Lite will reportedly cost £670 (~ US$845/~ €745), which is £69 cheaper than the price at which the Galaxy S9 launched. 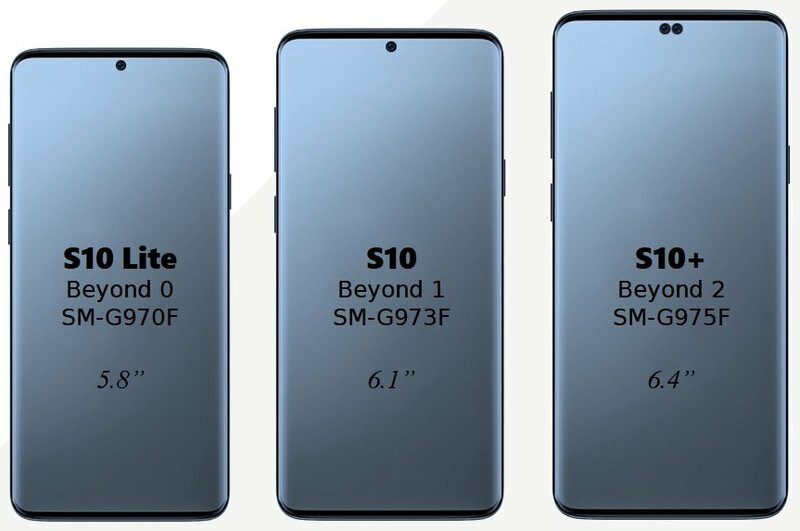 The S10 Lite may also have 128 GB of storage, which is 64 GB more than the S9. The big headline is that the 1 TB Galaxy S10+ will supposedly cost an absurd £1,399, which is over US$1,750 at today's exchange rate. Please keep in mind that the UK price will include sales tax (VAT), so the S10+ may launch at a lower price in the US but it still could reach almost US$1,800 for the 1 TB version when sales taxes are factored in. We have included a table below of the rumoured pricing and the approximate conversion rates into Euros and US dollars for all Galaxy S10 models and storage options. Confirmed information about the Galaxy S10 and its supposed variants is currently scant besides leaked photos and supposed case reference designs. We suspect that the Galaxy S10 and S10+ will feature the Qualcomm Snapdragon 855 SoC or Exynos 9820 SoC depending on the region, while the S10 Lite may feature a weaker SoC like the Exynos 9810. All will be revealed in the coming weeks and months, but in the meantime what are your thoughts on a £1,400/US$1,750 smartphone? Let us know in the comments.